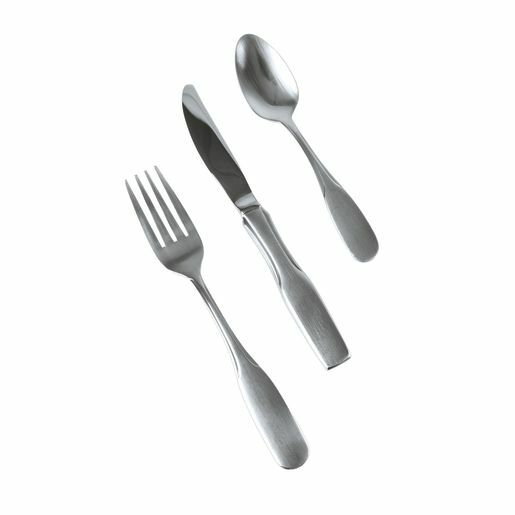 Appropriately-sized, easy-to-hold flatware lets children experience all eating utensils, including round-tipped knives. 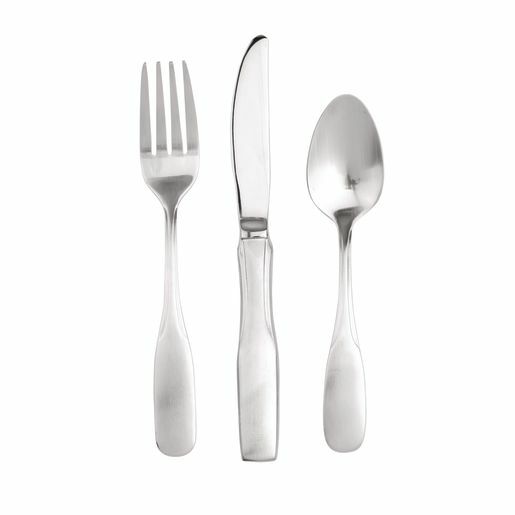 This durable flatware has an exceptionally nice "feel" and balance. Sturdy, high quality 18/10 stainless steel. Spoon is 5.125" long, fork is 5.75" long, and round-tipped knife is 6.25" long. Dishwasher safe.